The 2017 tally included 764 birds representing more than 60 species, 154 sea lions, 30 northern elephant seals, nine harbor seals, six Guadalupe fur seals, three sea turtles, two common dolphins and a pygmy sperm whale. Marine wildlife can fall victim to illness, injury, exhaustion or separation from the mother. Two of the most common conditions are malnutrition and dehydration. SeaWorld said animals also may become entangled in nets, ropes or fishing line, or accidentally ingest plastic or other foreign objects. Habitat loss and oil spills are also a concern. Reports can be made to the park’s hotline, which is monitored round- the-clock, at (800) 541-7325, or online at SeaWorldSanDiego.com. 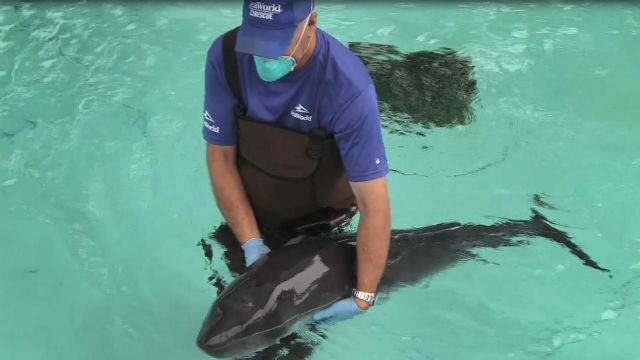 SeaWorld officials suggest that members of the public keep their distance from ill or injured wildlife, as members of the rescue team take precautions themselves before approaching such animals. Park staff work to rehabilitate the birds and animals and return them to the wild, usually after they demonstrate that they can forage for food on their own.